Have you ever felt there must be more to life? Well I am the bringer of good news - there is! The even better news is that it's right here in front of us. We just need to stop and take notice! Learning to be more mindful and aware can do wonders for our well-being in all areas of life – such as our walk to work, the way we eat or even our relationships. Mindfulness helps us get in tune with our feelings and it stops us dwelling on the past or worrying about the future. The result of this is that we get more out of the day-to-day thing we call “Living”. Mindfulness is the key to taking notice, it is often defined as "the state of being attentive to, and aware of, what is taking place in the present moment". * We are accepting, rather than judging, of what we notice. Mindfulness is "openly experiencing what is there." It is about having as much awareness as possible of what is around us - what we can see, hear, touch and taste, what is happening inside - our thoughts and feelings. Crucially it is about observing all of this but not getting caught up in thinking and worrying about what we are observing. This gentle quiet observation then gives us more control of what we decide to give our attention to. A growing number of scientific studies are showing the benefits of mindfulness in many aspects of our lives including our physical and mental well-being, our relationships and our performance at school and at work. Mindfulness appears to have benefits for everyone, from children, through to the elderly. 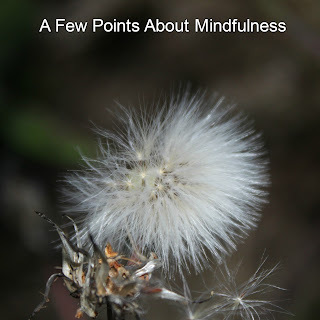 It has been suggested that once learnt, mindfulness has a 'transmitting' quality. This means that the benefits of using mindful practices increase over time and with more use it can spread to many areas of our daily lives. Unfortunately in today’s busy and multi tasking world mindfulness is something that few of us do naturally - but it's something everyone can learn and benefit from. It's simple, yet it can feel hard until you learn how. That's why it takes practice. Have you ever gone into a different room to get something and forgotten what that was? Have you been in a conversation with someone but realised that you haven't listened to what they have been saying? Have you eaten a meal without really tasting it (for example while watching TV or reading)? How often have you found yourself on “autopilot” whilst making a familiar journey such as going to work, to school or college, and once you have arrived finding that you can’t remember anything about your journey? All of the above are examples of 'mindlessness'. And that is very, very common! Normally we are so caught up in our thoughts about what has happened or is about to happen - i.e. the past or the future – that we get a lot less out of the present. However, the startling thing is that the only thing we can truly be sure of is what is happening in the here and now. But the good news is, although mindlessness is a habit, it is one we can learn to replace. You can bring mindfulness into your day at any time when you're awake. It is a skill that is often associated with meditation, but it is not just practiced when sitting silently. Learning how to meditate is just one way (albeit a very good one) of learning and practicing mindfulness. Being more engaged in the present moment can lead us to a richer experience of the things that might otherwise pass us by. While we are wrapped up in thoughts about the past or relentlessly thinking about what we are doing next, we probably do not notice the leaves dancing on a tree, a bird soaring on the wind, the smell of new blossom, the colour of the sky or the smile on the face of someone passing by. Of course we need to plan and to recollect and process experience, but if we begin to be more mindful we are likely to be surprised at just how much time we actually spend outside the present moment and how pleasurable and calming being in it can be. Being mindful is not something mystical - it has been practiced across different cultures for millennia. Various forms of mindulness can be found in all the major faiths including Christianity, Judaism, Islam as well as Buddhism. But mindfulness is not, nor does it require, any form of religious faith or belief - it is available to all! Perhaps it is better thought of as being something that has been lost in recent generations as the speed of life and amount of information we process has increased. Becoming more mindful has been widely shown to benefit our physical health and happiness when one combines meditation techniques with other aspects of mindfulness. Mindfulness has been shown to help people manage pain, reduce blood pressure, anxiety and depression. In some situations it has been shown to benefit the immune system and improve certain skin conditions. It has even been shown to be related to elderly people living longer. Indeed, mindfulness is increasingly used in a variety of healthcare settings. Recent research suggests that mindfulness literally changes our brains - for the better. People who have practiced it regularly, show fewer signs of stress, and demonstrate positive changes in the parts of the brain associated with positive emotion, distinct patterns of activity associated compassion towards others and thickening of the areas of the brain associated with sensory processing. Mindfulness appears to be an effective way of managing stress levels. Several studies have shown that various forms of mindfulness practice are associated with reduced levels of the stress hormone, cortisol. Indeed, some researchers argue that mindfulness practice reverses the effects of chronic stress. Another study found that experienced meditators had a heightened initial reaction to a stressful stimulus but recovered more quickly. Other researchers have demonstrated that individuals with higher levels of mindfulness viewed demanding situations as less stressful and were less likely to avoid dealing with them. Mindfulness is also associated with the benefits of greater relaxation and rest, but it is not the same as these. During the practice of mindfulness, the awareness is active and science has shown that there are physiological differences when compared to periods of rest or relaxation. Interestingly, it also seems to help us be more relaxed yet more alert. Higher levels of mindfulness have also been recently associated with better quality sleep. Research shows a number of benefits that mindfulness can have on our ability to perform in addition to enabling us to cope better with stress. * Various aspects of creative thinking and creativity. Other reviews even suggest that mindfulness can have positive benefits for performance in the workplace including decision-making, health and safety and conflict resolution. Some psychologists propose that mindfulness leads to improved well-being and flourishing because it promotes greater regulation of behaviour. It does this because it gives us a fuller awareness of internal and external information, enabling more accurate assessment, more conscious choice and so more flexible, less automatic or impulsive reactions. Being more mindful of our thoughts and related feelings is also associated with reduced rumination, anxiety and depression, which leads to increased resilience and psychological well-being. In addition to its benefits for our health and psychological functioning, mindfulness has been shown, in a number of scientific studies, to directly increase our level of positive emotions. For example the brains of people who have been practicing mindfulness regularly show patterns of activation in the areas of our brain associated with feeling good (and reduced activation of the areas associated with worrying and stress). One study showed that a group (of people) that received a happiness enhancement programme, along with meditation instruction, showed increased happiness compared to those who received the happiness programme alone. Other studies have shown that individual levels of mindfulness are associated with increased emotional, psychological and social well-being and likewise with higher levels of life satisfaction and positive emotions and lower levels of negative emotions. Other psychologists have shown that our ability to enjoy positive experiences in our life is an important component of happiness. While we can savour past experiences and look forward to future ones, enjoying the present is important. It is a way of being more mindful that we can bring into our day-to-day activities to extract the maximum from each day. For example, eating a favourite food, walking to school or work, sitting in a garden or park or relaxing in a hot bath. One factor that is toxic to our levels of happiness is social comparison and wanting what we don't have, such as a better phone, car or house. A recent study of the financial desires of UK college students and US working adults, indicates that higher mindfulness is related to a smaller difference between what people had and what they wanted. In turn this was related to greater subjective wellbeing (a measure of how happy people are). It is important to note here that this did not seem to be due to the level of personal or household income (albeit the group studied could be regarded as middle class). Furthermore, when one group's mindfulness skills were developed, their financial have-want gap decreased and their subjective well-being increased. Studies have shown that mindfulness can benefit our relationships with others, and so perhaps can benefit our communities. For example, training in mindfulness increases empathy and levels of compassion towards others. Many types of meditation or mindfulness practice include a focus on our connections to others and some have been developed for this specifically. Both can positively impact our relationships. One study of married couples who attended a mindfulness programme that incorporated a loving-kindness meditation and focused the application of mindfulness to relationship issues, demonstrated significantly increased relationship satisfaction, as well as increased optimism, engagement, spirituality and relaxation. Another study on students found that a different form of meditation had a positive impact on their interpersonal relationships. It is also suggested that mindfulness in the form of meditation may have benefits for our moral and ethical behaviour and therefore be of benefit to our community and society. For example, increasing our sensitivity to thoughts and feelings of others and our levels of empathy and compassion, in turn increases our sensitivity to the impact of unethical acts and orientates us to helping others. An initial study has indicated that meditation may potentially have such benefits. Since mindfulness enables us to get more from the present and become more aware of what is around us, could it possibly help us to take care of the natural environment, with knock-on impact for our own and others' happiness? Like the growing evidence of the benefits of mindfulness for our health and happiness, there is also increasing evidence for the role the natural environment plays in our well-being. And so it's likely that the two could be related. Indeed a number of 'ecological' models of well-being propose a relationship between mind, body and spiritual well-being and the natural world. As yet, however, there appears to be few studies relating the two. 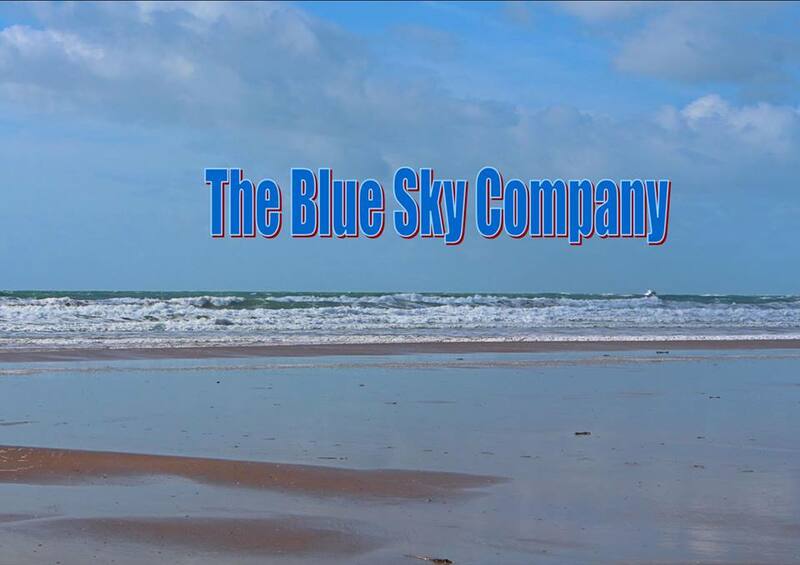 And finally – if all goes to plan this blog will be changing to Under Blue Skies on Saturday 1st April. I have recently discovered that a book written by a friend of mine is available via Amazon so I would like to share a link to that book with you. This lady is an amazing person and I am sure that if you have enjoyed reading my blog you will also find her work of interest. A very good day from Ilfracombe, N Devon, UK - today is Sunday the 26th March 2017 and we are now in the recovery stage. Alison’s surgery went well and depending on events there is a possibility that she may be home today. It has been quite an emotional week for me personally – lots of things have happened and I can only describe it as something akin to being on a roller coaster ride wearing a blindfold. – you never know what is going to happen next. I have been working my forthcoming new album “Dragon’s Gate” and piecing together the tracks for my next radio show on CauldronFM. Below is the updated list of the topics for the next 5 weeks together with the posting dates for each one. I have been a life coach since 2006 and hold an Honours Diploma in the subject and this qualification provided me with membership of “Associated Stress Consultants”. I hold a Diploma in Music Therapy, I am a certificated Reiki Practitioner, a certificated Crystal Therapist and I am currently studying towards a Diploma in Colour Therapy. I have had several Personal Development articles published in the USA, I lead guided meditations and run the virtual light centre The Crystal Spring with my business partner Kaz and I also run The Blue Sky Company which is my coaching / personal development brand. If you are interested in becoming a member of the tribe, please go to Facebook and search for Under Blue Skies – “The Tribe” I will look forward to seeing you there. 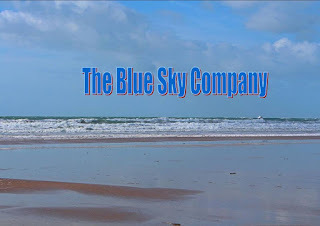 Whilst I am talking about the tribe shortly the name of the blog will be changing to match, so in the very near future this change will take effect and the blog will then be known as “Under Blue Skies”. Please accept my apologies if this causes any inconvenience but the change is another step to creating an across the board brand identity. PS I send out daily emails containing a new Inspirational Phrase. These are available by subscription only and are delivered free of charge to your mailbox. HI it’s Dave here, I do hope that you are having a great week so far I know that I certainly am! This week I was looking around for ideas for posts and I came across this review that I wrote way back in 2014. I hope that you enjoy reading these posts on my blog as much as I enjoy writing them. Last Friday afternoon (27th June 2014) I collected a demonstration Mitsubishi Outlander Plug In Hybrid Electric Vehicle from Devonshire Motors, Barnstaple, the local Mitsubishi Main Dealers. The car had been booked for an overnight test drive. To say that it was like stepping into something from the future is an understatement. I pride myself on having a fair knowledge about the workings of a vehicle however, this car left me feeling like a novice driver all over again. So for the introduction to the vehicle – I was greeted by the Sales Manager and after a short chat about the differences between standard electric vehicles and the revolutionary Mitsubishi my wife and I were taken to “meet the car”. After a brief apology for the state of the interior – they had not had time to clean it out – our guide explained that he had left the car on “tick over” to charge the batteries. He then began the tour of the vehicle starting with the boot and its all electric tailgate. Hiding under the floor are two compartments, one of which contains the normal 12v battery similar to the one in every car on the road today and doing the same job. The second compartment held the charging leads one goes into a standard 13 amp household socket. A push of a button then gently closed the tailgate. Next we moved to the driver's side rear and he pushed gently on what appeared to be a fuel filler cap and when it opened it revealed two charging sockets – one to accept the cable from the 13 amp plug and the other to accept the “fast charge” cable, fitted to units that are popping up at charging stations all over the country. Behind the steering wheel are two “flappy paddles” which control the “regenerative braking system” and there are the usual indicator and wiper stalks. The vehicle is fitted with auto wipers which sense when the windscreen gets wet, Continuing the automatic theme the vehicle has automatic lights that illuminate once light levels fall below a certain pre-determined level. After this familiarisation exercise the next instruction was to put my foot on the brake, move the gear lever into neutral and press the power button. The whole dash panel sprung into an in car replica of Blackpool Illuminations and our guide said that the car was now “running” – there was no noise! Another explanatory talk about the various in built charging systems followed and then we were left to our own devices. The first thing that struck me whilst pulling away from the garage was how quiet the car was and although the process of driving was exactly the same the sensations and the experience were messing with my head. The journey back home took some 20 minutes and on a stretch of open road I put the throttle hard down, the electric motor became assisted by the petrol engine and the power delivery was phenomenal. I have no idea of the acceleration time but it was certainly rather rapid. When we arrived home we parked it in the nearby car park and it was then that I discovered the advantage of having a reversing camera. The screen gave an excellent view of the full width of the car and with the aid of the display and the parking sensors I was able to reverse into the space and park accurately without the need to use my mirrors. We left the car parked and went into the house. I then began to feel strangely disorientated, my head becoming very “woosey” - I did not know if it was attributable to the car or not, but I decided that after we had eaten I would try again and see if I was being affected by the vehicle. After we had eaten, our friend joined us and we set off on a drive to North Devon’s Woolhanger Manor. This drive would certainly allow me to put the car through its paces because we would cover fast roads, winding roads, steep hills, dirt tracks and potholes and I have to say that the car dealt admirably with everything that was thrown in its path. I had become used to the myriad lighting effects of the dashboard and what all the arrows and symbols meant and really started to enjoy driving this electronic marvel. I tried the system for charging whilst driving which soon replaced the used power and before much distance had been travelled I had learned about both the regenerative braking system and the phenomenal torque this machine provided when called upon. The Mitsubishi Outlander is one of the world’s most amazing cars and can, if used in certain ways, provide the least environmental impact of any vehicle I have ever driven. The petrol engine operates with an emission figure of just 40, the system would charge on free power if connected to a solar energy system, so with zero road tax it is and can be virtually free motoring. I would like to thank Devonshire Motors, Barnstaple for providing the car overnight and 2 years later I am now the happy owner of a diesel Outlander (only because as at the time of writing the PHEV is still out of my price range) I am looking forward to test driving the 2017 version to see what has changed and getting to know if Alison (my wife) is as keen on it as I am after she has driven it. A very good day from Ilfracombe, N Devon, UK - today is Sunday the 19th March 2017 and we are now in the last week before Alison’s surgery (providing the date does not end up being changed again). It has been quite an amazing week for me personally – lots of things have happened that can only be described as quite mindblowing. I have been working to build the tribe page, researching and creating the videos for the 30 day challenge (which is due to end on Tuesday), and as this post goes live I will be working on the forthcoming new album “Dragon’s Gate” and my piecing together the tracks for my next radio show on CauldronFM. I have been a life coach since 2006 and hold an Honours Diploma in the subject and this qualification provided me with membership of “Associated Stress Consultants”. I hold a Diploma in Music Therapy, I am a certificated Reiki Practitioner, a certificated Crystal Therapist and am currently studying towards a Diploma in Colour Therapy. Whilst I am talking about the tribe shortly the name of the blog will be changing to match, so in the very near future this change will take effect and the blog will then be knows as “Under Blue Skies” Please accept my apologies if this causes any inconvenience but it is all being done to create an across the board brand identity. If you have been following the 30 Day Challenge video series I have been doing on Facebook then you will probably be aware that it is my intention to go into a phase of Branding Consolidation. This process began a couple of years ago with changing the name Altered Image Life Coaching to The Blue Sky Company but then things ground to a halt. However the last few weeks have been totally awesome and it is as if I have jumped onto a Roller Coaster ride. So much has been happening that I have hardly had time to catch my breath and it is all very exciting. So moving forwards at some point in the next week or so the blog will be renamed "Under Blue Skies" - the style has already been changed to reflect the forthcoming changes. Under Blue Skies - "The Tribe"
A new email address will be added and we are looking at changing things on Instragram, Twitter and YouTube to reflect this new more progressive identity. However, none of these changes will affect "The Crystal Spring" because that is a joint venture between Kaz and I and there are separate plans being in place to develop a new part of that business. So hopefully these changes will make the branding stronger, more readily identifiable and help to convey a clearer message. 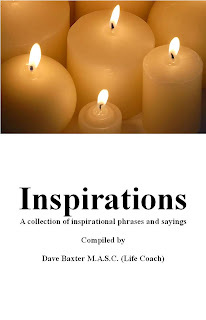 My ebook "Inspirations" a collection of inspirational phrases is available via the link posted below. Social Media is one of the biggest revolutions in communication of the late 20th early 21st Centuries. There are very few people without a mobile phone and therefore, by definition, they have access to the Internet and thus Social Media. I am often surprised to discover that there is yet another new platform to enable me to communicate with my fellow inhabitants of the tiny speck of space matter we call Earth. When I was a child at school I was amazed that we had a telephone installed in the house and that I could talk at length to my girlfriend 20 miles away just by dialling a few numbers. Several years later we had a push button phone and to be honest I thought that was the extent of the technical advances in communication………….oh how wrong was I? However, alongside these huge steps forward we initially did not realise that we were, in fact, becoming more vulnerable. Our personal security was becoming threatened, as was our safety and ultimately this reduced security was to impact on our families and friends with amazing rapidity. d) you may also be indicating that you are going to be alone. c) if possible make someone you know and trust aware of your plans and timings, advise that you will be clear by a certain time and will contact them to assure them of your safety. This is something that we often don’t think about when we begin to use Social Media websites! Let me ask you a question – Do you post pictures of yourself with your brother or sister, mum or dad, your best friends? This leads on to my next question which is “Have you ever thought that as a result of doing this people your friends and family do not know might recognise them? And can you imagine where that might lead? 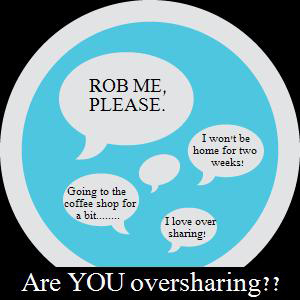 The simple thing here is – not everyone wants to be recognised by complete strangers so make sure that you ask them if it is ok to post their image on Social Media before you do so! If you don’t want it in the papers don’t do it! How would you feel if your behaviour from that Saturday night where you behaved in a less than ladylike (or gentlemanly) fashion ended up on the front page of the local paper for the whole community to see? Now a local newspaper would be bad enough but imagine if it was posted on Social Media and the post went viral. Could you honestly say that you would be happy for your naked chest or that up-skirt shot, that you found so funny, was being seen globally complete with your name and possibly even those of your friends? If you would not be happy about it – don’t do it! Give Away Your Location – and possibly much more. Pretty cool to take a photo on your phone as you are leaving home isn’t it? Let’s say you are going to a wedding, or to a party – all dressed up in your finery. You have left the radio and a light on but you come back and you have been burgled. How did they know there was nobody home? I can almost hear the moans as I write this – You gave them all the clues that the house was most likely unattended! Because you posted that photo with a comment like “here we are off to so and so’s evening wedding reception” on Facebook etc. not thinking that it shows the time and date of the post - silly!!!! Your have now successfully completed Lesson #1 in how to make it easy for a thief. Do not assume that what you post is private because it rarely is! – “if you don’t want it read, don’t let it be said” is a favourite maxim of mine. “if you have a gun that can kill someone then at some point in the future someone might be able to get hold of that gun and kill you”. Enjoy your time with Social Media by all means but if you want to protect yourself and those you love - Be careful what you do and say on ALL the Social Media pages. A very good day from Ilfracombe, N Devon, UK - today is Sunday the 12th March 2017 and we are now in the last couple of weeks before Alison’s surgery (providing the date does not end up being changed again). Below is the updated list of Blog topics for the next 5 weeks together with the posting dates for each one. I hope that you are having a fantastic week so far! I really know that life is moving forwards for me at the moment, and I am choosing to be Unstoppable. Innovation and creativity must be encouraged and nurtured if we are to climb out of this part of our history that is classed as a Global Recession. There are 7 core principles that can be used to help you stand out from the rest. Using these 7 principles can help you to think differently and re-invent your product, your service, your company and even yourself. So let us take a look at these 7 principles and see how we are able to make use of them in our lives. Core Principle 1 – Do What You Love! This is another way of saying “follow your passion” because if you love doing something it feels easy to you, time passes quickly and you get lots done. However, you will also need to add into that guts and determination if you are going to successfully follow your heart and your intuition. Once you find something that you are passionate about the odds for success become stacked in your favour. If you add to that passion a large chunk of perseverance, the two will go hand in hand towards your success. However, if you have lots of passion and no perseverance or you are filled with perseverance but without the necessary passion, you will give up and your project will end up on the cutting room floor. By being a visionary you will attract other visionaries to you, people who see what you see and who can assist you in turning your ideas into earth shattering innovations. If you have a vision, you have an extremely powerful piece of “kit in your arsenal” to help move your brand forwards. Innovation moves society forwards but this does not happen without someone having a bold vision. Ask yourself what is your particular vision – for your career, your company, your products etc. You need to follow your passion as I indicated in Core Principle 1 by doing all the things that you are passionate about BUT if we make an analogy to a space rocket – your passion will provide the fuel for the motors while you vision will provide the guidance systems. Innovative ideas are born out of creativity – one possible definition of creativity it that of connecting things. There is a belief that a broad set of experiences expand our understanding of being human, extending from this thinking it follows that the wider the field of understanding the greater the chance of breakthroughs happening that others may have missed. The technique of breakthrough innovation needs and requires creativity and creativity requires that you think differently about the way you think. Scientists have determined that innovators think differently to the rest of society but that they use a technique that is readily available to each and every one of us – they seek out different and varied experiences. Look outside of your own niche for inspiration. Have as many new experiences as possible and remove the ropes and chains that bind you to your old and past experiences. How do you see your customers? If you devise ways to help them unleash their inner genius, you will undoubtedly win over their hearts and minds. Here is a harsh fact that most people do not recognise - Nobody cares about your company or product! They care about themselves, their dreams, and their goals. Help them achieve their aspirations, and you will win them over. Core Priniciple 5 – Don't Be Afraid To Say No! Put another way be as proud of what you or your business does not do as you are about what you do choose to pursue. This advice applies to your career and personal life as well. The lesson - don’t spread yourself too thin! Find the career that intersects your passion, skill, and has the ability to make money whilst you are doing it. Then once you find it, focus on it, work at it, and dedicate yourself to pursuing excellence in that area. Say “no” to anything that will distract you from pursuing that career. If you are looking for work or you are frustrated with your current job, there will be plenty of friends, families, and colleagues who offer unsolicited advice on what’s best for you. Filter out the ideas that might derail you from the career that best matches your strengths and passion. Then, when you find your target, pursue it with a single-minded sense of purpose. By introducing simple innovations any business can adopt to create deeper, more emotional connections with their customers. For example, there are no cashiers in an Apple store. There are experts, consultants, even geniuses, but no cashiers. In the example of Apple they offer customers a concierge-like experience, much like a customer would receive in an elegant hotel. The lesson here being - don’t move the “product.” enrich lives instead and then watch your sales soar. Carefully review each “customer touch point” with your brand, and take the opportunity to create more meaningful relationships with your consumers. Look outside your company for ideas on how to stand out from your competitors. Above all, have fun and engender passion amongst your team. . Passion is contagious. If your employees are not having fun, your customers will not be, either. You can have the most innovative idea in the world, but if you can’t get people excited about it, it doesn’t matter. For every idea that turns into a successful innovation, there are thousands of ideas that never gain traction. This happens because the people behind those ideas failed to tell a compelling story. Slides or similar visual aids generally serve as a backdrop to the story. To give the ultimate in presentations, you must learn to avoid bullet points and to think visually about bringing a story to life. As a footnote to the above ask yourself this question “What Would Hitchcock Do? Hitchcock would never show the shark. available by subscription only and are delivered free of charge to your mailbox.